Following the reported exchange of strikes between Tehran and Tel Aviv over the Israeli-controlled Golan Heights, the question arises as to whether the two Middle Eastern powers could engage in a direct military conflict. Sputnik Iran has looked into the issue comparing the countries' military capabilities. According to GlobalFirepower.com estimates based on CIA figures, Iran and Israel's defense budgets are $6.3 billion and $20 billion, respectively; active personnel — 534,000 (Iran) and 147,000 (Israel); total military aircraft — 505 (Iran), 596 (Israel); tank strength — 1,650 (Iran), 2,760 (Israel); total naval assets — 398 (Iran), 65 (Israel). However, in case of a military confrontation between Iran and Israel, the main role will be played by the quality of weapons and military equipment. And here Israel has an advantage over Iran. 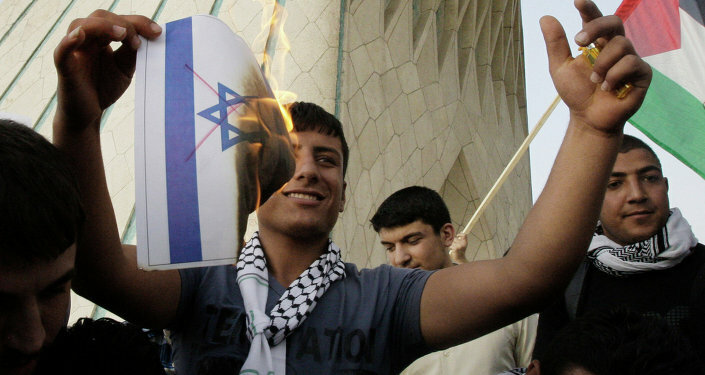 One needs to keep in mind that in the event of a confrontation it is unlikely that Israeli forces would launch a ground offensive against the Islamic Republic given the population ratio between the two countries — 8.3 million people (Israel) and 82 million (Iran). Therefore one might presume that Israel would resort to Air Force and, possibly, Navy missile strikes against its adversary. For its part, Iran would also find it difficult to attack Israel by land: It is more likely that the Islamic Republic would conduct massive missile strikes on Israel from Iranian territory and use the anti-Israeli Hezbollah and Hamas movements as proxies on the ground. The Islamic Republic of Iran's (IRI) combat aircraft are largely outdated, consisting of American F-4, and the F-5 fighter jets, designed in the 1950s, the F-7 — a Chinese analogue of the Soviet MiG-21 aircraft, the F-14, the Su-20, the Su-24, the Su-25 and the MiG-25, developed in the 1970-80s. Additionally, many of Iran's warplanes are unfit for active service. Iran's newest fighter jet, Qaher-313, or Dominant-313, is unveiled by Iranian President Mahmoud Ahmadinejad, accompanied by top officials during a ceremony, in Tehran, Iran, Saturday, Feb. 2, 2013. However, the Iranian military-industrial complex produces a number of the domestic combat aircraft, including the Azarakhsh, Saeqeh, Tazarv. Still, according to some observers, they were designed on the basis of obsolete foreign models. "The [IRI] Air Force is basically comprised of old US planes and [aircraft] that the Iranians managed to obtain later," Israeli Air Force retired Brig. Gen. Israel Baharav told Sputnik. "I believe that the Iranian Air Force could be taken into account only if [Israel] has to operate in Iranian airspace." The general expressed doubts that Iranian aircraft would conduct military operations in Israeli territory. "Great distance and other factors play a role," he suggested. "They [the Iranians], of course, could try, but the capabilities of their aircraft are extremely limited in case of accomplishing such a task. Their missiles pose a greater threat to us [Israel] than their aviation." For its part, Israel has US-made F-15s, F-16s, and F-35s in its arsenal. The Israeli air fleet was built with the direct participation of the country's scientists and specialists. According to aviation experts, the Israeli Air Force is one of the five strongest air forces in the world, alongside the US, Russia, China, and the UK. The IRI reportedly has 21 Ghadir-class mini submarines, specifically designed to sail within the shallow waters of the Persian Gulf. In addition, it operates three Kilo-class diesel-electric submarines purchased from Russia in the 1990s, according to The National Interest. While enjoying superiority in the number of warships, Iran loses to its potential adversary in their military capacity. The Israeli Navy possesses six Dolphin-class diesel-electric submarines developed and constructed by Howaldtswerke-Deutsche Werft AG. They are equipped with cruise missiles that are capable of carrying nuclear warheads. It significantly increases Israel's strategic potential ensuring its superiority over the naval forces of its Mideast neighbors. It is an open secret that Israel is a Middle Eastern nuclear power that reportedly has between 100 and 500 atomic warheads in possession. In addition, the country has been developing its own ballistic missiles since 1963. In 1989 Tel Aviv successfully tested its Jericho-2 ballistic missile capable of striking targets at a distance of 800-1,500 kilometers. The Israel Defense Forces (IDF) also possesses airborne means of delivering nuclear weapons (including the F-16 and the A-4N Sky Hawk). Israel is the only country in the Middle East that is believed to be able to conduct a nuclear strike by land, sea or air. As for the threat posed by Iranian missiles, Tel Aviv could potentially resist an Iranian strike due to the Iron Dome, a mobile all-weather air defense system developed by Rafael Advanced Defense Systems and Israel Aerospace Industries. The system has repeatedly demonstrated its efficiency while intercepting Hezbollah and Hamas' rockets. While being tested, the Iron Dome had managed to withstand even more powerful strikes. In short, the Israeli military might appear to be superior to that of the Islamic Republic. 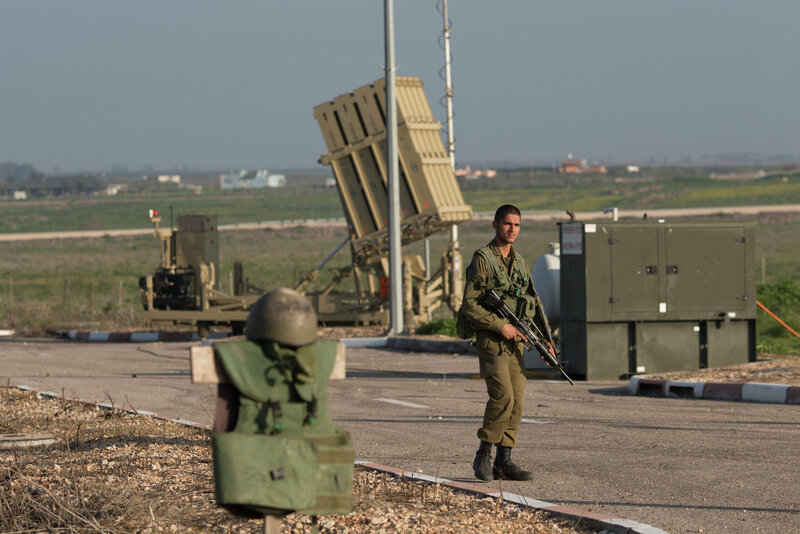 An Israeli soldier guards an Iron Dome air defense system deployed in the Israeli controlled Golan Heights near the border with Syria, Tuesday, Jan. 20, 2015. Tensions have recently been brewing between the two states over what Israel regards as Tehran's military expansion in Syria. In February 2018, Israel allegedly intercepted what it called an Iranian drone and then launched an airstrike in Syria resulting in the downing of an Israeli warplane. In early April, the Israeli Air Force attacked Syria's T-4 air base, which claimed the lives of seven Iranian servicemen. In May the two countries reportedly exchanged a series of strikes over the Golan Heights. In the aftermath Israel's Defense Minister Avigdor Lieberman reported that the country's forces struck "nearly all the Iranian infrastructure in Syria." In response, Abolfazl Hassan Beigi, a member of the Iranian National Security and Foreign Policy Parliament's Committee claimed that the Islamic Republic had nothing to do with the airstrikes on Israel. Beigi stressed that Iran "has no military presence in Syria, no bases." However, a direct military confrontation between the two powers still remains unlikely, observers believe. 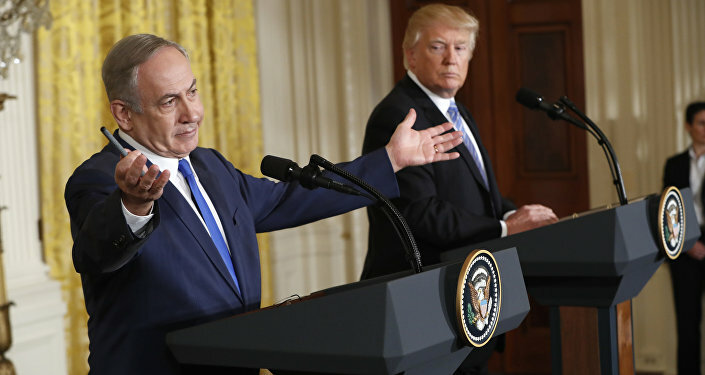 "Both Israel and Iran recognize how costly a war would be for each of them, and in the case of Iran, also for their proxies in Syria and Lebanon. I expect both sides prefer to avoid getting there, which in some respects serves as mutual deterrence," opined Rachel Brandenburg of the US-based influential Atlantic Council think tank.